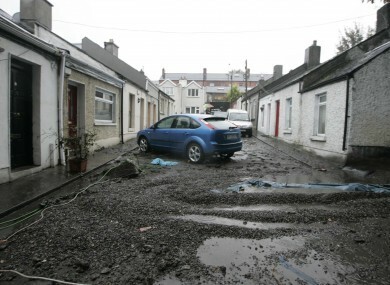 THE MINISTER OF State at the OPW has told the Dáil that neither the government nor the Central Bank can compel insurance companies to insure people who live in flood plains. Brian Hayes was responding to a topical issues motion from Labour’s Kevin Humphreys and Ciarán Lynch, both of whom say that their constituents, in the Irishtown/Ringsend area of Dublin and in Cork, can’t get insurance and are suffering catastrophic losses due to repeated flooding. Humphreys said that it was ironic that his constituents lived in the shadow of the Aviva stadium, but could not get insurance. Lynch said that flooding forecast for Cork tonight would be followed by a “dual tragedy” for business owners who would not be able to claim on insurance policies. Hayes, however, said that a memorandum of understanding between the OPW and insurance companies could only act as a guide. “This is a commercial issue for insurance companies. The Central Bank and the government has no oversight. The answer left neither Labour TD pleased. “I’m very disappointed in the working group on this issue and I’m not satisfied with the answer,” said Humphreys. Lynch said that the memorandum between the OPW and insurance companies must have power. Email “'The government can't make insurance companies insure people' ”. Feedback on “'The government can't make insurance companies insure people' ”.